Advertiser Disclosure: This post includes references to offers from our partners. We may receive compensation when you click on links to those products. However, the opinions expressed here are ours alone and at no time has the editorial content been provided, reviewed, or approved by any issuer. The AAdvantage® Aviator® Red World Elite Mastercard® from Barclays is the fruit of American Airlines’s partnership with Barclaycard, one of the country’s top credit card issuers. Though it doesn’t yet have a spot on our list of the best travel rewards cards, it’s always a contender for inclusion. Aviator has several clear benefits. The sign-up bonus is super easy to attain: simply make one purchase within 90 days to earn 50,000 AAdvantage miles, good for a round-trip flight anywhere within the continental United States. There’s an unusually long 0% APR introductory bonus for balance transfers, equal to 15 billing cycles from your sign-up date. And you automatically qualify for a slew of American Airlines benefits, including a free first checked bag and preferred boarding. All that said, Aviator is not perfect. It has a $95 annual fee, reducing its attractiveness to light spenders and infrequent travelers. And it doesn’t confer automatic admission to the AAdvantage program’s higher status tiers, setting up a steep (and expensive) climb for ambitious cardholders seeking the promised land of elite air travel. Still, this card is worth checking out. Here’s what you need to know about Barclaycard AAdvantage Aviator Red World Elite Mastercard’s features, advantages, disadvantages, and overall suitability. Barclaycard AAdvantage Aviator Red World Elite Mastercard has a generous, attainable sign-up bonus. All you have to do to earn 50,000 AAdvantage miles is open your account, pay the $95 annual fee, and make your first purchase within 90 days. This bonus is good for at least one round-trip fare anywhere in the United States, with no blackout dates. It’s good for up to three one-way flights anywhere in the U.S., or five one-way short-haul flights of 500 miles or less. All eligible American Airlines purchases (including airfare, in-flight purchases, and other incidental expenditures such as baggage fees) earn unlimited 2 AAdvantage miles per $1 spent. All other purchases earn unlimited 1 AAdvantage mile per $1 spent. The most cost-effective way to redeem your miles is to exchange them for award airfare or upgrades on American Airlines and oneworld partner flights. The minimum full-fare redemption is generally 12,500 miles, though you’ll want to check with American Airlines for up-to-date figures, as redemption requirements are subject to change. For one-way domestic flights with no blackout dates, you’ll need at least 20,000 miles. AAdvantage miles’ redemption values vary widely. You can generally expect to extract $0.005 to $0.02 per mile, but some longer-haul flights may offer better value. If you don’t have enough miles to redeem for a full fare, you can combine miles and cash, as long as you have at least 1,000 miles in your account. When you combine miles and cash, American Airlines values your miles at $0.01 apiece – so 5,000 miles equates to $50. If you don’t want to redeem for airfare, you can also cash in miles for car rentals and hotel stays, typically at a value of $0.01 per mile. You can also redeem toward an annual membership with Admirals Club, American Airlines’s airport lounge club. And you can redeem for non-travel items, including magazines, newspapers, gift cards, and LifeLock identity theft protection. However, these non-travel redemption methods typically devalue miles, so you’re better off redeeming for travel unless you’re earning miles faster than you can plan trips – in which case, it may be time to look into other credit cards. When you spend at least $25,000 in any cardmembership year (the 12-month period beginning and ending with your account anniversary date), you get 3,000 Elite Qualifying Dollars (EQDs). When combined with at least 25,000 Elite Qualifying Miles (EQMs) or 30 Elite Qualifying Segments, this is enough to earn American Airlines Gold (or oneworld Ruby) status – the lowest status tiers for American Airlines and the oneworld alliance, respectively. Gold/Ruby benefits include 40% elite miles bonus, 50% off Main Cabin Extra seats, and complimentary Preferred seats, among others. You’re entitled to a 10% bonus rebate on redeemed miles. For instance, when you redeem 40,000 miles for a round-trip flight, you get 4,000 miles back in your account. This benefit is limited to 10,000 rebated miles (100,000 redeemed miles) per year. American Airlines offers reduced-mileage redemptions to select destinations. The list of select destinations changes every other month and isn’t released in advance, but typically includes a mix of popular vacation destinations and major cities. The discount is 2,000 AAdvantage miles for flights shorter than 500 miles, 3,750 AAdvantage miles for one-way flights longer than 500 miles, and 7,500 AAdvantage miles for round-trip flights longer than 500 miles. Check with American Airlines for a complete explanation of this perk. You’re entitled to a free first checked bag (normally $25) on any domestic itinerary operated by American Airlines. This benefit applies to up to four companions traveling on your reservation as well. You’re entitled to preferred boarding (Group 1) on any domestic itinerary operated by American Airlines. Likewise, this benefit applies to as many as four traveling companions. When you use your Aviator credit card to pay for in-flight food and beverages, you earn an automatic 25% discount. The discount appears as a statement credit. It doesn’t apply to in-flight WiFi or entertainment, however. This card comes with some additional travel benefits backed by Mastercard. These include trip cancellation and interruption insurance, loss and damage coverage on rental cars paid in full with your Aviator card, and personalized concierge service. There’s a 0% APR balance transfer promotion for 15 billing cycles from your account opening date. Balance transfers made within the first 45 days do not accrue interest during this period. There is no corresponding 0% APR promotion for purchases. This card’s purchase APR is 17.49%, 21.49%, or 26.49% (variable), depending on your personal creditworthiness and prevailing rates, from the day you open your account. Following the end of the balance transfer promotion period, the balance transfer APR rises to the same level. This card comes with some useful non-travel benefits too. 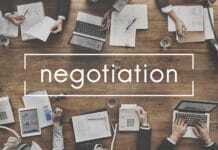 These include extended warranties on certain items with existing manufacturers’ warranties, return protection (reimbursement) for attempted returns refused by the retailer, and price protection (reimbursement) on purchased items for which you find a lower marked price at another retailer. There is a $95 annual fee from the first year. There is no foreign transaction fee. Balance transfers cost the greater of $5 or 3%. Cash advances cost the greater of $10 or 5%. Late and returned payments both cost up to $37. This card requires excellent credit. Very Good, Easily Attainable Sign-up Bonus. Barclaycard AAdvantage Aviator Red World Elite Mastercard’s sign-up bonus is generous and easy to attain. All you have to do to snag 50,000 AAdvantage miles is make a single purchase within the first 90 days. Excellent Introductory APR Promotion for Balance Transfers. This card’s introductory balance transfer promotion is unusually generous for an airline rewards credit card: 15 billing cycles at 0% APR. Most branded airline cards don’t even bother with 0% APR balance transfer promotions. 10% Redemption Bonus. You get an automatic 10% rebate on all redeemed miles, up to 10,000 rebated miles and 100,000 redeemed miles per year. That’s a big deal. When maxed out, this benefit is more than enough to cover the cost of a short-haul domestic flight. EQD Bonus for Big Spenders. If you can spend at least $25,000 in a year, you’ll get a 3,000 Elite Qualifying Dollar bonus. That’s enough to earn American Airlines Gold status when combined with the requisite amount of Elite Qualifying Segments or Elite Qualifying Miles. Solid American Airlines Benefits. This card has a nice lineup of American Airlines benefits, including a 25% discount in-flight food and beverages, preferred boarding, and a free first checked bag for you and up to four traveling companions. The last benefit is worth up to $125 per flight. The first has theoretically unlimited value, though it’s limited in practical terms by your flight attendants’ mobility and attentiveness. No Foreign Transaction Fees. Barclaycard AAdvantage Aviator Red World Elite Mastercard has no foreign transaction fees. This is a huge deal for frequent international travelers. Some comparable cards charge up to 3% on each foreign transaction – enough to negate this card’s earning rate, and then some. No Penalty Interest Charges. You never have to worry about paying penalty interest on overdue card balances here. Some competing cards charge penalty interest at 29.99% APR and keep that high rate in place indefinitely after you miss a single statement due date – potentially adding hundreds of dollars to your annual interest expenses on carried balances. $95 Annual Fee. Barclaycard AAdvantage Aviator Red World Elite Mastercard has a $95 annual fee. If you’re not a heavy spender, you’re unlikely to earn rewards quickly enough to offset this recurring charge. In that case, your best move is to take advantage of this card’s easy-to-attain sign-up bonus, redeem your earned miles, and close your account. 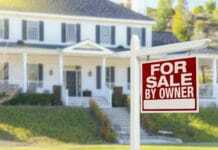 Keep in mind that this will result in a modest, temporary hit to your credit score. Low Baseline Earning Rate. This card’s baseline earning rate is mediocre at best: just 1 mile per $1 spent. Some competing travel cards have more attractive baseline rates. For instance, Capital One Venture Rewards Credit Card earns unlimited 2 miles per $1 spent – a 2% return on spending. No Opportunity to Earn Higher Membership Status. This card doesn’t offer any direct opportunities to move up the ranks of the AAdvantage membership program, which has five tiers: base status (earned free when you open your card account), Gold, Platinum, Platinum Pro, and Executive Platinum. To move up, you need to spend substantial sums on American Airlines airfare, even with the Elite Qualifying Dollars bonus. Some airline credit cards, such as Platinum Delta SkyMiles from American Express, waive these onerous requirements and let you move up the ranks automatically. No Companion Airfare Benefit. Barclaycard AAdvantage Aviator Red World Elite Mastercard doesn’t offer a companion airfare benefit to loyal cardholders. This is a big drawback for frugal cardholders who like to travel with their significant others or close friends. If free or discounted companion airfare is important to you, try the Alaska Airlines Visa Signature Credit Card or the Southwest Airlines Rapid Rewards Premier Credit Card, both of which have lower annual fees than Aviator. No Airport Lounge Benefit. This card doesn’t have any airport lounge benefits, aside from the ability to redeem your AAdvantage miles for Admirals Club memberships – a perk that isn’t reserved for cardholders. Some competing cards, including the United MileagePlus Explorer Card, offer discounted airport lounge passes or memberships to cardholders in good standing. No Introductory APR Promotion for Purchases. Though this card’s 0% APR balance transfer promotion is well above the category standard, it’s not paired with a comparable purchase promotion. That’s a bummer for new cardholders who’d like to finance large upfront purchases without paying interest through the nose. If you’re looking for a card that offers balance transfer and purchase promotions, check out Citi Simplicity or Citi Diamond Preferred instead. Barclaycard AAdvantage Aviator Red World Elite Mastercard is a great card for people who regularly fly American Airlines or its partners. And, with an easily attainable sign-up bonus that can be redeemed for at least one round-trip journey anywhere in North America, new cardholders come out well ahead as soon as they make their first purchase. However, this isn’t an ideal credit card for frequent travelers seeking the broadest possible mix of redemption opportunities. General purpose cards like Chase Sapphire Preferred Card let you redeem for virtually any travel purchase under the sun – a far cry from the relatively restrictive, often low-value menu available with this and other branded airline credit cards. Before you apply, make sure your miles will actually take you where you need to go. The AAdvantage® Aviator® Red World Elite Mastercard® is ideal for moderate to heavy spenders who frequently fly American Airlines or its oneworld partners. It’s also great for new cardholders dealing with existing high-interest credit card balances. And the sign-up bonus offers a solid opportunity for new cardholders with the discipline to sign up, earn the bonus, redeem the miles, and move on. If you’re looking for a travel card that rewards everyday spending and/or offers a wider range of redemption opportunities, consider a general-purpose alternative like the Capital One Venture Rewards Credit Card. Key benefits include the excellent and easily attainable sign-up bonus, the 15-billing-cycle introductory promotion for balance transfers, the 10% rebate on mileage redemptions, the EQD bonus for big spenders, the American Airlines benefits, the lack of foreign transaction fees, and the lack of penalty interest. Drawbacks include the $95 annual fee, the low baseline earning rate, the inability to earn elite membership status through card spending or automatic qualification, the lack of companion airfare and airport lounge benefits, and the lack of an introductory APR promotion for purchases. 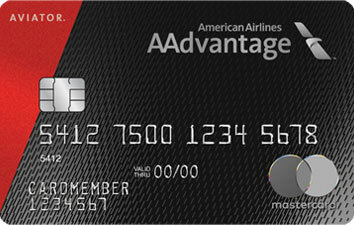 Overall, Barclaycard AAdvantage Aviator Red World Elite Mastercard is an excellent card for frequent American Airlines flyers, those looking to transfer high-interest credit card balances from existing card accounts, and those with the discipline to take advantage of the generous sign-up bonus and move on.